Here's how you'll know that France is playing on the field. 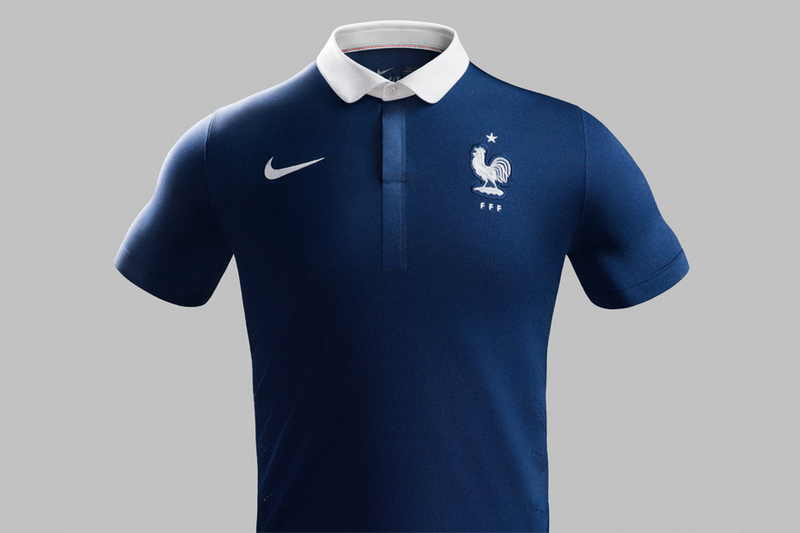 The team will be donning these new Nike national kits for the 2014 World Cup to be held in Brazil. As part of Nike’s commitment to sustainability, the shirt, shorts and socks will all feature fabric made with recycled plastic bottles. The kit also features Nike Dri-FIT tech with laser-cut ventilation holes to keep players cool, while the cotton and recycled polyester construction keeps things comfortable by wicking away moisture.